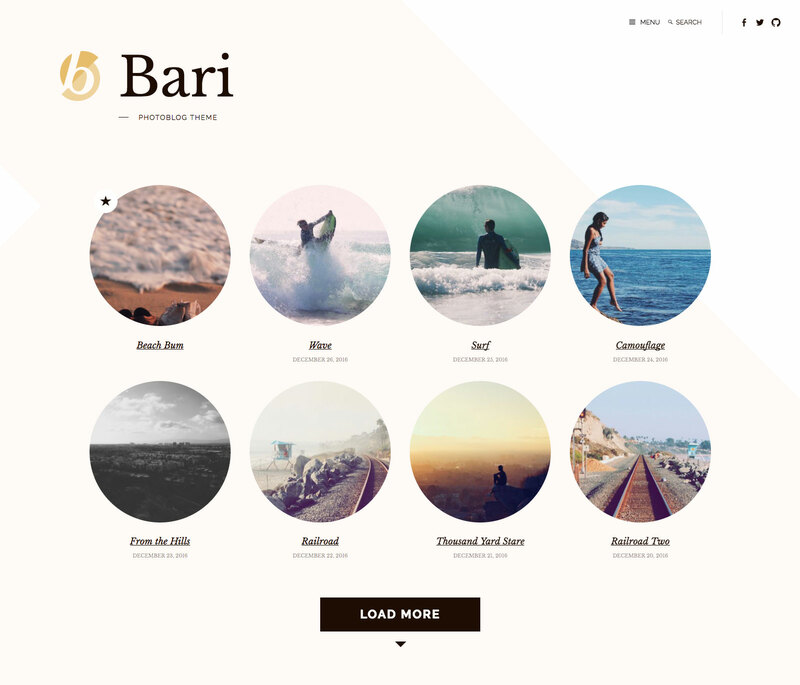 Bari is a photoblogging theme that presents your work with unique flair. Have you snapped some beautiful shots you want to make sure first-time visitors don’t miss? Display up to two featured posts of your choosing in a prominent way on your blog page. 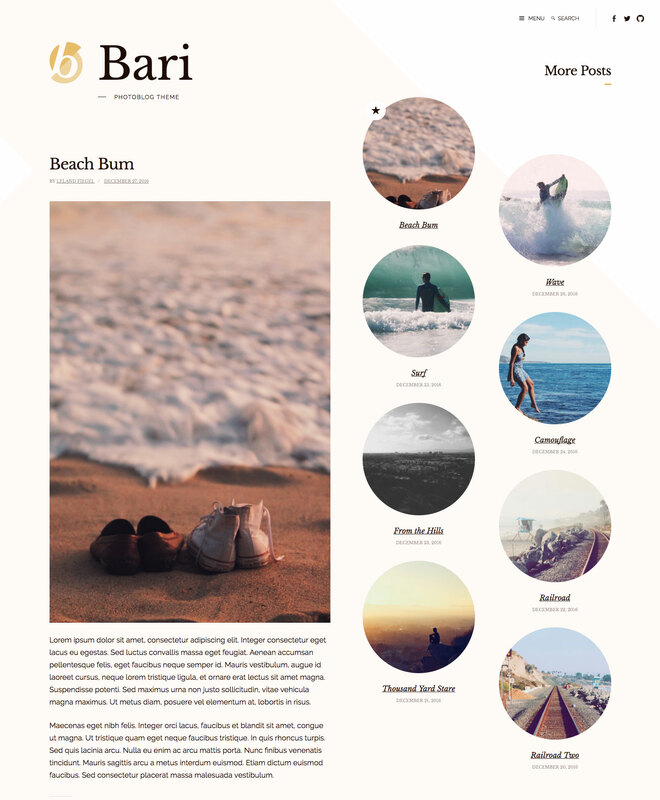 If no Featured Content is selected, Bari uses a simple, grid-based layout instead. The blog homepage of the Bari theme without Featured Content enabled. To immerse visitors in your photography, Bari can display a More Posts section that does just that, even when a viewer lands on a single post. It automatically shows your latest posts, highlighting their featured images. If you prefer that visitors stay focused on one post at a time, the More Posts section can be disabled in the Customizer’s Theme Options panel. As you might expect from a photography theme, Bari looks best when you add a Featured Image to every post. Upload your image once, and have it automatically resized and cropped for display in featured posts, non-featured posts, and single posts. A prominent Social Links Menu in the top-right corner gives your audience a way to keep up with your work on their preferred social networks. The main column width is 680. The footer widget area widths are up to 480 wide. Featured Images are 280 wide by 280 height on the blog homepage, archive pages, and search results pages. They are 600 wide by 600 height on featured posts. They are 680 wide by unlimited height on single posts. The recommended size for the Site Logo is 80 wide by 102 tall.